* Total number of reviews and star-ratings are based on data collected during the time period EvenGreen Technology, Inc has been using the ReviewBuzz system and may not directly match the data found on each public review site. Great service. Met company members at Home Show in Nampa. They called me on Tuesday after the Show to review what I would need. They answered my questions and were able to install on Wednesday. They were courteous, quick but thorough. They even cleaned up after themselves. Pricing was very reasonable. Fans run quietly unlike my previous ones. Thank you, Kathy Daniels. Excellent to work with from start to finish, and willing to work with a very pesky homeowner to incorporate my wishes and design. Price of system was competitive, workmanship impeccable. We had Evengreen install our solar panels, they did a FANTASTIC JOB! They were quick, and thorough. We knew what was going on every step of the way. They were easy to work with and all the install guys were great. We had a wire that slipped as was hitting the roof, we called and the next day they were out getting it fixed, we have not had a problem fixed. The best part are the power bills - $5.33 since we had them put on in April, even with using 2 AC units! I highly recommend going solar and using EvenGreen! 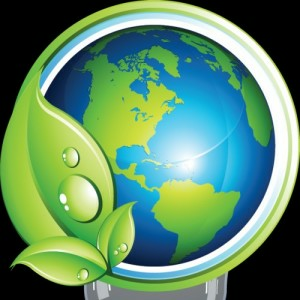 EvenGreen Technology is very knowledgable and know the latest products in the field of solar energy. They field test products and sell you those that can be trusted! Super happy with the professionalism of the team and the quality of the install. Bryan was great to work with! From the non-pressure sales pitch at the home show through about fifty questions I had, EvenGreen did a great job. The weather reeked havoc on the installation schedule but they got us taken care of. I would recommend them to anyone. We couldn't be happier with our entire experience working with EvenGreen! they were thorough, on time, and went above and beyond to install our panels in literally the worst weather ever. They even shoveled our driveway! We were only ever met with polite and respectful workers. Thank you! I am very pleased with the Solar install EvenGreen put in for me. It has a very clean and professional appearance. Through the entire process they were easy to contact and excellent about answering my many questions. I wouldn't hesitate to call them for future needs. Really great experience with this company -- extremely knowledgable in all the technologies and able to translate for the customer. We've had one design issue develop and Evengreen is going to take care of it. Recommend them highly! Best solar installation crew in the valley. Great service and great product. Very knowledgeable staff. Once your solar equipment is professionally installed, you become part of the EverGreen family! I highly recommend this company for all your solar power needs! Ed Harrington helped us out with lightning in our church that has 30 foot ceilings. It was a challenge but they were up to the task. Great customer service. Fantastic showroom! Friendly and knowledgeable staff! Looking forward to the Solar Party later this month!!! The one stop shop w a mix of latest technologies to reduce my utilities bills. Both Bryan and Keven and their partners help me look at all options, solar thermal, solar lights and attic fan, LED lighting.. thanks for all your help! Customer service is always a top priority at EvenGreen Technology, Inc. Our BBB Membership A+ rating is like a badge of honor as we continuously strive to provide the best experience for our clients.